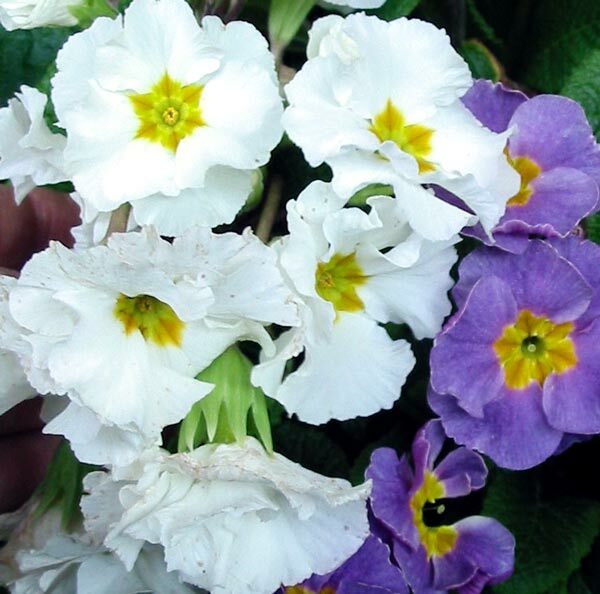 Some polyanthus colours are subtle, while others are as gaudy as the colours of felt pens. 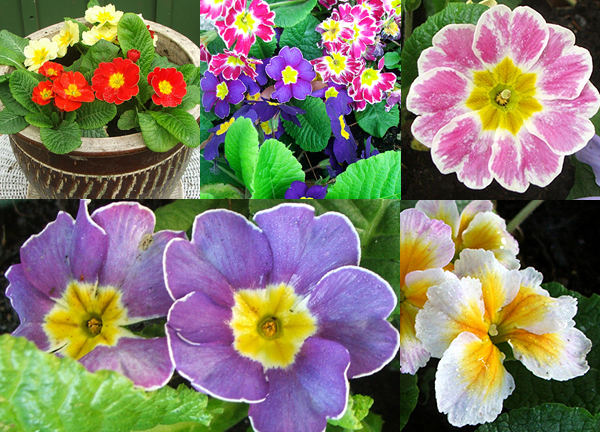 I grow different coloured polyanthus to brighten up the house gardens in winter. They're brilliant in pots, and seem to last for ages. 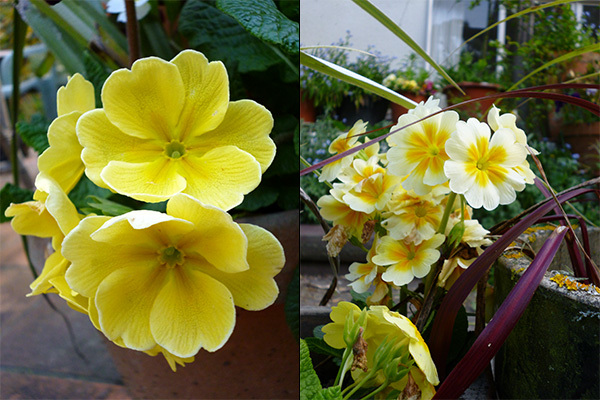 My polyanthus plants take up a different residence when summer heats up. I hide their pots behind the glass-house, underneath the table in the shade. I pop them back out in autumn, by which time I've forgotten their flower colours. So the following winter brings me a new set of surprises. 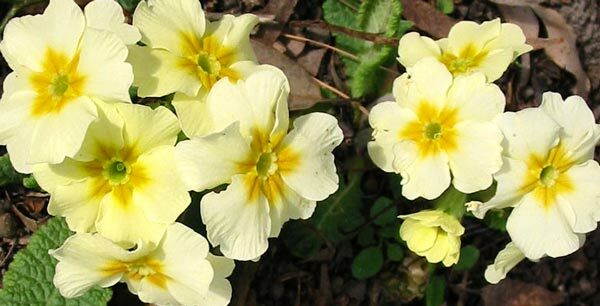 Polyanthus are humble little perennials, with beautiful green foliage. Their bright, gaudy colours and patterns can be ridiculed by stylish gardeners. But that's pretty silly, really. Colour in the depths of winter is so cheerful - the brighter the better, I reckon. And the plants in their pots can be well protected. Enjoy!